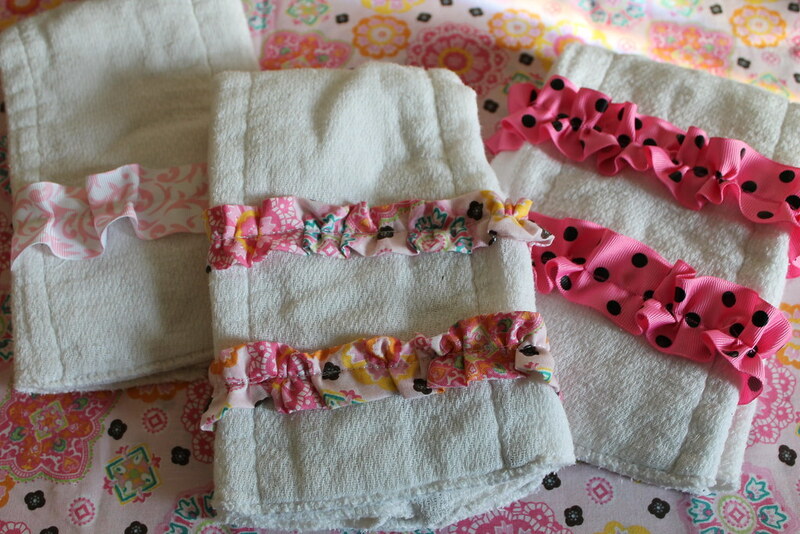 Once upon a time I had a pile of burp cloths. These burps were used with Luke but I never got around to fancifying them. Sometimes they were used as his diaper inserts to add absorbency (they are "cloth diapers" after all!). 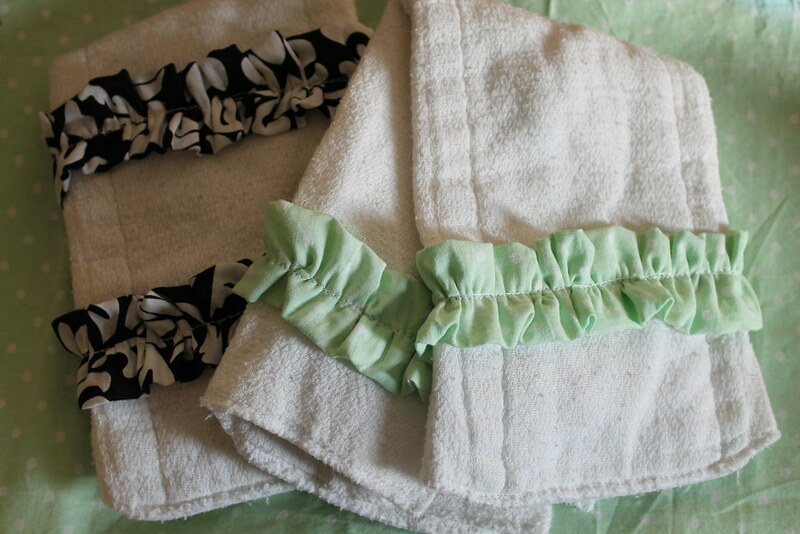 Since we'll be cloth diapering Emberly from nearly the beginning I went ahead and got her "real" prefolds. 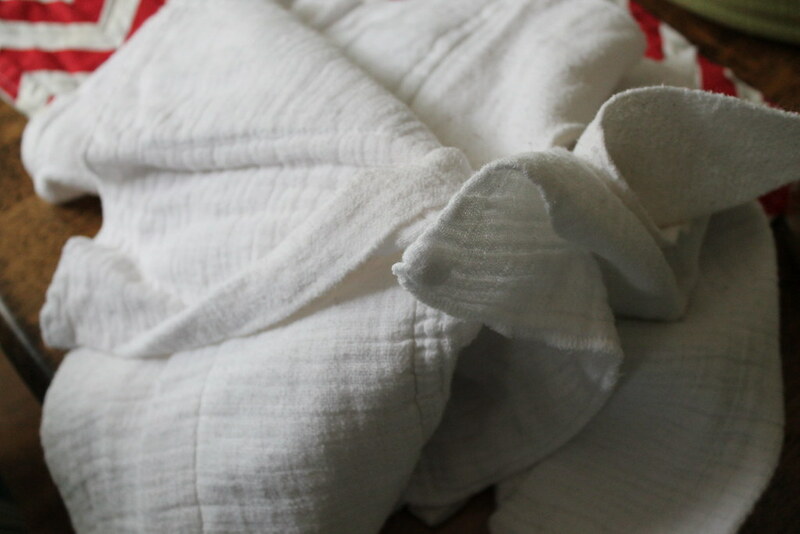 Not that these aren't real- but chinese or indian cotton prefolds are 100xs more absorbent. So it was high time to make these pretty! I'm on a ruffle kick. Remember the light I made? I basically followed the same steps as the ruffle lamp that I linked above. I sewed a casing wrong sides together, flipped them inside out, ran a gathering stitch and pulled. Voila! 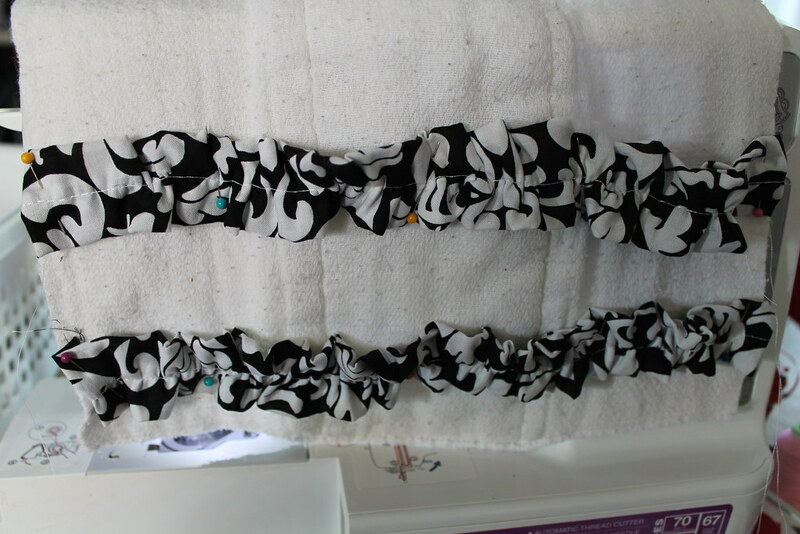 Then I pinned each to the burps and sewing a running stitch down the length of the ruffle.